The QConicalGradient class is used in combination with QBrush to specify a conical gradient brush. Conical gradients interpolate interpolate colors counter-clockwise around a center point. In addition to the functions inherited from QGradient, the QConicalGradient class provides the angle() and center() functions returning the start angle and center of the gradient. 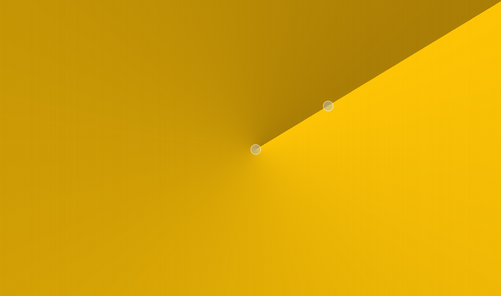 Note that the setSpread() function has no effect for conical gradients. The reason is that the conical gradient is closed by definition, i.e. the conical gradient fills the entire circle from 0 - 360 degrees, while the boundary of a radial or a linear gradient can be specified through its radius or final stop points, respectively. See also QLinearGradient, QRadialGradient, and The Gradients Demo. Constructs a conical with center at (0, 0) starting the interpolation at angle 0. See also QGradient::setColorAt(), setCenter(), and setAngle(). Constructs a conical gradient with the given center, starting the interpolation at the given angle. The angle must be specified in degrees between 0 and 360. Constructs a conical gradient with the given center (cx, cy), starting the interpolation at the given angle. The angle must be specified in degrees between 0 and 360. Returns the start angle of the conical gradient in logical coordinates. See also setAngle() and stops(). Returns the center of the conical gradient in logical coordinates. See also setCenter() and stops(). Sets angle to be the start angle for this conical gradient in logical coordinates. Sets the center of this conical gradient in logical coordinates to center. Sets the center of this conical gradient in logical coordinates to (x, y).